Estate Home on a private Sunny 3.53 acres, this gated and fenced stunning estate features a luxury 6,972 SF custom built home by Homestar. Features Real Timber Beams!! Vaulted Ceilings a touch of Tuscany, with old world flair but modern trends with brilliant white walls. The Master Bedrooms has a Spa inspired en-suite. Radiant flooring heating on all levels. High efficiency geothermal heating/air conditioning. Relaxation and recreation are built in at every turn, with amenities such as a 12 seat home theatre, Games Rm/gym & wine room. 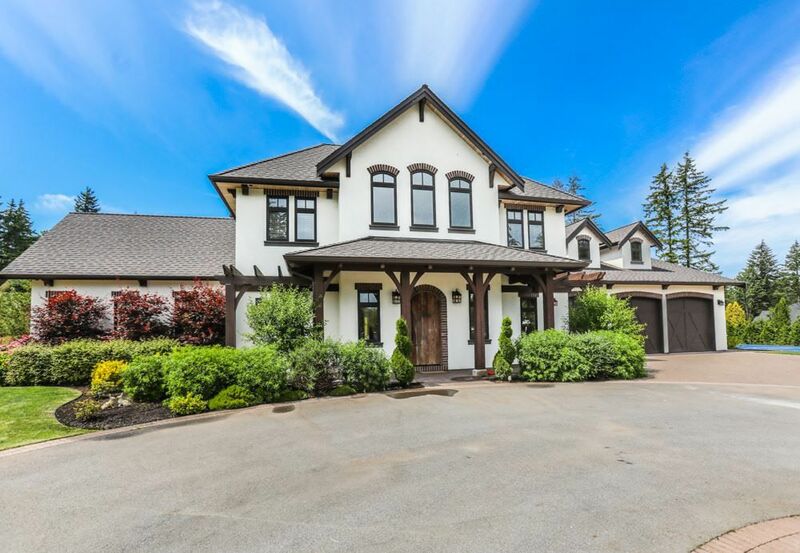 In ground Pool pre plumbed/Outdoor Kitchen and Sports Court, 6 stall custom-built barn and new huge suite above, RV parking and hookups and only steps to Campbell Valley Park's extensive trail system.